Okay, Mukao-san, returning to where we started, could you tell us about something you've heard about the game? Sure. I have an older brother, and we played video games together when we were little. One game we played was Super Mario Bros.5 for the NES. Back then, we had to take turns playing. We couldn't play at the same time. Even as a child, I thought it would be fun if we could play at the same time. 5Super Mario Bros.: An action game released in September 1985 in Japan for the NES. As a child, you were thinking the same thing that Miyamoto-san was at the time. Yes. So this time I worked with a sense of realising my childhood dream. During New Year's break, I had the chance to see my brother and his wife in our hometown. He used to play video games, but now that he's married, he hasn't played them very much. That happens for a lot of people. But he said he bought New Super Mario Bros. Wii, and he plays it together with his wife. It seems his wife isn't very good at video games. She said it's a little difficult, and I thought, "Hmm, maybe it is…"
When I asked them about it, they said that when they reach a difficult part, they clear it by him carrying her on his shoulders as he runs forward. Oh, I like hearing that! (laughs) Even if you're not good at video games, someone who is better can help you get through. Yeah. 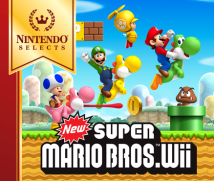 (laughs) I think it's really great that with New Super Mario Bros. Wii you can play like that. I doubt many games so far have allowed good players to carry not-so-good players to the finish! It seems like lots of people are playing in pairs - young couples, for example, and husbands and wives. There must be something about it that makes you want to invite someone to play with you. Yes, you want to invite someone to play. And it's not just young couples or married couples, but parents and children, and, of course, friends. I think it's quite significant that the appeal of the game spreads to those around you. Something that made an impression on me regarding dual play was a comment a mother wrote on the Post Play Survey for Club Nintendo. She said, "My two children used to get 30 minutes each to play video games…but now I can give them 30 minutes together! It's a great deal!" No one but a mother would write something like that! (laughs) Now that multiple people can play and no one has to wait, a number of unexpected secondary benefits have resulted. Now, Uchida-san. Thanks for waiting. What have you heard about the game? the Goombas dance in time with the ♪wa-waaa! part of the music . I didn't think anyone would notice, but when I saw the responses from the Club Nintendo survey, some people had written that they thought it was cute the way the Goombas jumped to the music. That's right! I was really happy to get a response like that. Then, after the game went on sale and I told my family I had worked on New Super Mario Bros. Wii, they said, "Oh, that one that goes ♪wa-waaa!" Everyone seems to hear it as "wa-waaa." That made me aware all over again of how amazing sound is. May I add something to this fantastic story? It's about what I said earlier about the two women talking on the train. The one who didn't usually play video games said it was cute the way the Koopa Troopas wave their hands with the music. Really! The Koopa Troopas turn and face the viewer and shake their hands in time with the ♪wa-waaa. I'm sure that's what she meant. You are blessed as a sound programmer. Also with regard to Mario sound, everyone knows the song that (Koji) Kondo-san6 produced, but I don't think there are many designers who pay as much attention to sound effects as Miyamoto-san does. A long time ago, Miyamoto-san played Kirby's Adventure7 while it was still in development, and he told me that the sound for Kirby transforming was too light. For such an important element of the game, it didn't feel satisfying at all. In other words, Miyamoto-san always talks about how the game must feel, and when he does, he doesn't just mean how the player-character will move in response to input from the controller. He sees it as tightly bound with sound effects, too. Ever since I became conscious of that, when I play Mario, I'm always running across things that make me think, "Oh, he was right!" In that respect, I imagine you must have fielded a lot of tough requests. Is that true, Uchida-san? 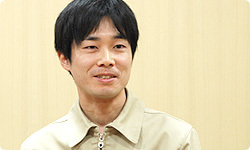 6 Koji Kondo: Sound advisor on New Super Mario Bros. Wii. He has worked on the sound for the Mario and Zelda series. He is in the Software Development Department, Entertainment Analysis and Development Division. 7 Kirby's Adventure: An action game released in March 1993 for the NES. 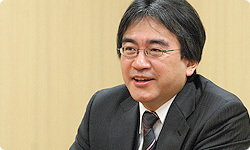 Developed by HAL Laboratory, of which Satoru Iwata was once president. Um…there was one pretty big one. propeller is made out of and what powers it. Before you eventually got the OK, you made a bunch of different versions of the propeller. About how many did you make? That shows just how important Miyamoto-san thought the sound effect for the propeller was for this game. I see. 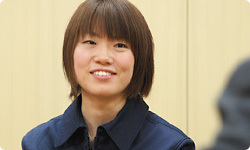 In an imaginary world, what it's made out of isn't something you absolutely have to think about, but Miyamoto-san was extremely focused on it because sounds bear directly upon our senses and are so closely bound to our experience when we play that they give birth to a certain sense of reality and a pleasant experience. Miyamoto-san focuses intensely on that kind of stuff, so I think it must be hard for the staff members who work on the sound effects for his games. Yes, there are times when the sound and image don't quite seem to match. When I make sounds, especially when I make sounds linked to controls, I do pay a lot of attention to how satisfying they will be, or how good they will make the action feel. So when it comes to sound effects related to controls, I really appreciate being able to hear Miyamoto-san's opinions to make sure that the direction I was heading sound-wise was in line with his image.